As you go about your life, there’s a dramatic buildup of dead skin, which — yuck. Which is why you need to exfoliate with something like the Skinfood Sugar Mask. It’s affordable, you get a lot, and it works! This baby will get your face baby smooth with a good scrub. Leave on for 20 minutes and then wash off. Years ago I fell in love with a face wash and when they discontinued it, my heart was broken. I thought I would never recover. But then Glossier made the Milky Jelly Cleanser and I learned to love again. It has a low pH, so it’s gentle and leaves your face feeling super soft. It doesn’t really have a smell (I’m not one for fragranced cleansers) and you’ll feel squeaky clean after. Have you ever thought you had removed all your makeup only to wake up with mascara smudges on your pillow? Do less laundry, have less breakouts — double cleanse. And you start with an oil cleanser like Clean It Zero Purity by BANILA CO to really get deep. This thing will GET. IN. THERE. Then move into a gentle cleanser like the Glossier Milk Jelly. Toner is important. 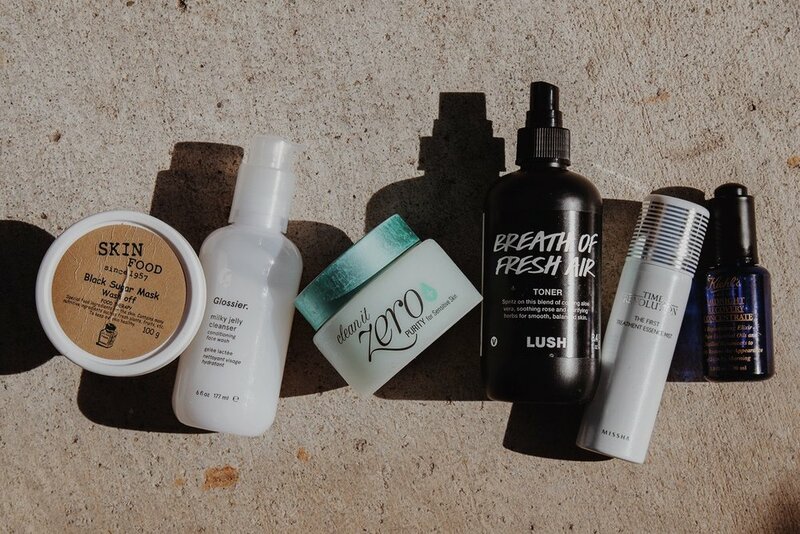 When you wash your face, you’ve opened all your pores and now you need to seal them with something good. 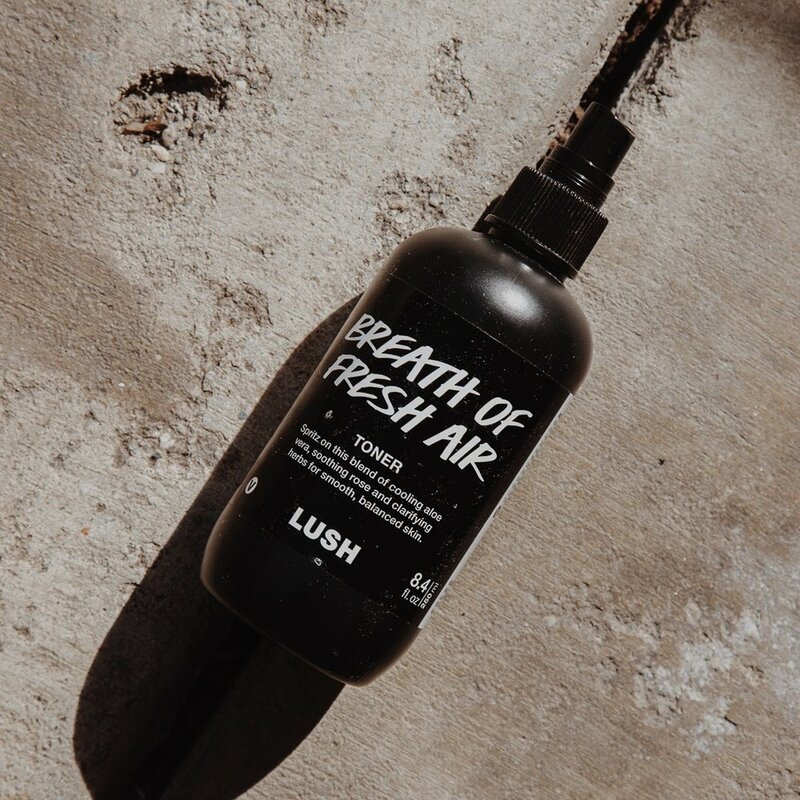 My favorite one to use is Breath of Fresh Air from LUSH. It smells amazing and LUSH is in the business of organic skincare. Spray onto a cotton pad and apply to your face. What is essence? It’s similar to your toner, but with more superpowers. It helps balances your pH and delivers active ingredients deep into your skin cells. I like to think of it as vitamins for your skin. I use MISSHA Revolution/Time First Treatment Essence. To be honest, I’m a sucker for the way this smells. If there’s anything that’s lavender-scented, you’ll find me first in line. That’s why I have a soft spot for the Kiehl’s Midnight Recovery Concentrate. I apply it before sleeping (and the lavender scent is great for slumber). I wake up feeling with my skin feeling refreshed.